I used the breaks between (surges) to chat peacefully with Joe, expressing excitement of being so close to finally meeting our baby. Joe kept telling me what an amazing job I was doing and how proud of me he was, and the midwives told me I was doing perfectly. To hear these words of support encouraged me to keep going and meant so much in those final moments. The birth of my second child was so unbelievably different from my first, I was taken by surprise! I’m still in awe of what my body did that day, the day I got my healing vaginal birth after caesarean (VBAC). My first birth, although beautiful, was 27 hours of labour, the first 25 were very gentle and unmedicated with only my husband and one beautiful midwife present. After meconium was found in my waters and a prolonged second stage, followed by bubs heart rate dropping, the last 2 hours were very medicalised, full of doctors and resulted in an emergency caesarean. 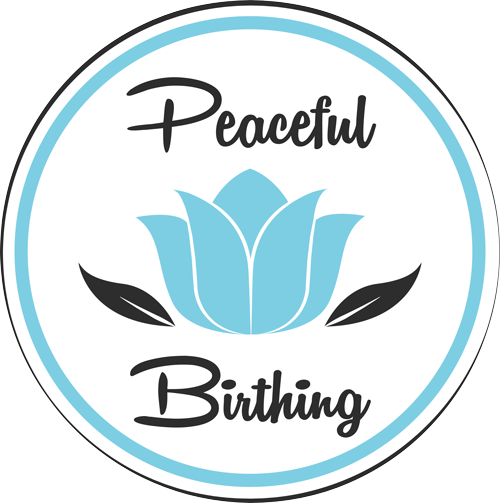 Although we agreed at the time this was the best course for us, I was left feeling like I’d been cheated out of the natural birth every woman deserved and I’d so desperately wanted. 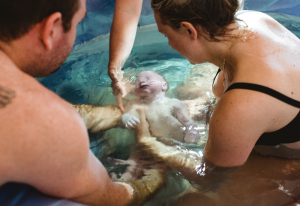 For the next 3 years while we waited patiently to conceive again, I dreamt of a home birth. I wasn’t 100% confident given the real (and perceived) risks of a VBAC, so when we were finally blessed with number 2, I straddled 2 models of care, public hospital care and independent midwifery. As the pregnancy progressed, I became increasingly confident that home birth was for us. Engaging an Independent Midwife. I believe this was the most important factor in my VBAC. I had access to unbiased decision making each step of the way rather than having to abide by hospital policy, and most importantly I had continuity of care. It meant I didn’t need to tell my story each time I saw my midwives (there was 2), and I built trust with them over time. Conversely, each time I went to the hospital appointments I saw a different midwife or Doctor (as a VBAC I was classified as high risk so was unable to go through the case load program which has a level of continuity of care), most of who attempted to talk me out of my birth plan decisions (ie no continuous fetal monitoring, no cannula upon arrival at the hospital etc) and provide frightening worst case scenarios, sometimes without research or reason, and only providing detail of risk and benefits of intervention when prompted. It was frustrating, and a number of occasions I left in tears. The day before I went into labour, I had continuous Braxton Hicks all day. That night I told my husband Joe that I thought my body was preparing and not to be surprised if I woke him in the middle of the night. So I was pleased when I awoke at 5.30am after a restful sleep to very mild cramping. I lay in bed as they gradually became more intense, and got up when my daughter did at 6.15am. As soon as I was walking around, they became so intense I had to stop every surge, and were already 3 minutes apart. By 6.30am, I was surprised to say I needed Amelia to be picked up as I couldn’t concentrate while my ‘mother’ was still switched on. I spent the next hour outside on our deck on all fours over pillows listening to my hypnobirthing tracks. I found affirmations was most effective as I breathed my way through each surge. Unlike my first birth, I couldn’t take long deep breathes during a surge, but felt the relief of those breaths during the short rest period. I also found relief in making quiet grunting noises that vibrated through my body. Surges were only 30 seconds, but they were every 2 minutes. In between getting my daughter ready, feeding me banana and water and putting on the TENs machine (which this time around I found no relief), my husband was performing the light touch which I found really relaxing. All completely opposite of my first labour! At 7.30 am my Mum picked up Amelia and things intensified again. I was having trouble keeping calm, so I rang my midwife, Clare, to let her know what was going on. I felt a little silly, thinking this is early days, but when she asked if I wanted her to come, the words ‘yes please’ spilt from my mouth, and I immediately felt more relaxed. By 8.30 am, Joe had just filled up the birth pool and I was impatient to enter the water. Clare arrived as I was entering, and I told her it was probably too early for the pool, but I really needed the relief. Her thoughts were that it would either halt things or get things moving. As soon as I was submerged, I felt huge relief. And only 3 surges later, I felt my body take over and begin pushing, and with it a purging type noise come out of my mouth – like I was going to throw up. Needless to say I didn’t feel silly anymore that I’d called Clare! The second midwife, Juliana, and my birth photographer Amy entered quietly at this point, I was aware but not at all disturbed by their presence. For the next 47 minutes, I was intensely aware of exactly what my body was doing. I felt bubs move down the birth path as each incredibly powerful wave of energy moved through my body. Clare asked me to reach down and see if I could feel a head, which I could, about 2cm from crowning, then a little later I felt hair. This made us laugh as Amelia didn’t have hair for at least a year! Although intense, I felt incredibly calm through this stage. I was on all fours leaning over the birth pool, clinging onto Joes arm through a surge using short breathes to ease baby down. I used the breaks between to chat peacefully with Joe, expressing excitement of being so close to finally meeting our baby. Joe kept telling me what an amazing job I was doing and how proud of me he was, and the midwives told me I was doing perfectly. To hear these words of support encouraged me to keep going and meant so much in those final moments. Soon bubs was crowning, and a few surges later the head was out. I was so relieved! The head began to turn, exactly as I’d seen in all those hypnobirthing births, which felt really odd and slightly painful. I actually thought the midwife was pulling the baby out (and I was really annoyed for a moment!) and after unwrapping the cord from her neck and shoulders, another surge and out slid the body. Pure joy rushed through me, an oxytocin high! After a few minutes of bliss, we decided to take a peek at the gender….a baby girl! I was very surprised as I carried so different to our first, but so very happy to have another Princess to add to the Hackett family. Baby Zara was here. I wanted to birth the placenta on land, so after about 10 minutes Joe helped me out of the water. As my second leg exited the pool, I passed a clot. This could have been a scary time, but I trusted the midwives to take care of me. They were there if things took a turn, so I didn’t feel I had to be concerned. While I cuddled my little bundle of joy, the midwives gave me a shot of syntocinin to help stop the bleeding, then massaged out my placenta immediately. Not what we wanted, but necessary. For the next half an hour I was monitored and came very close to being transferred to hospital, but thankfully that wasn’t to be. Zara fed right away, staying on my chest for a couple of hours until she was weighed and measured. I then moved into our bedroom, basically staying there for the next 10 days! This time was so special, to be able to bond and rest while I was looked after by my husband and our family. Zara Grace Hackett was born 9.27am 8th December 2019 8lb 5oz.